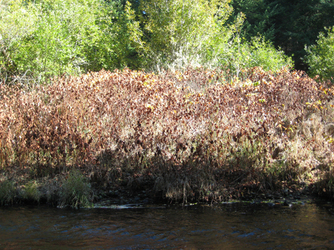 Knotweed stems cut by beaver and spreading. 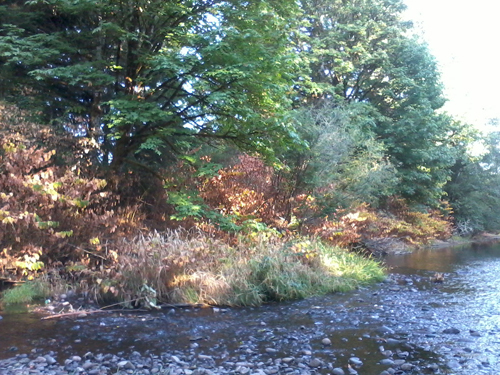 _The Model Watershed Special Investment Partnership (SIP) is an Oregon Watershed Enhancement Board, Meyer Memorial Trust and Bonneville Environmental Foundation partnership. 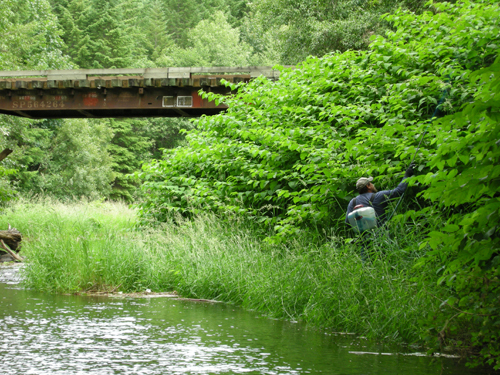 The Luckiamute Watershed Council is among a select group of councils in the program and work on the Luckiamute is well under way. 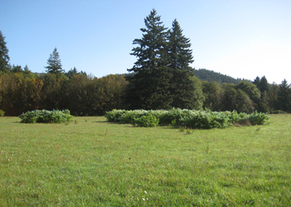 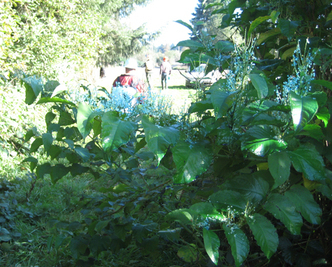 Landowner interest in the project is strong and, as a result of extensive field oriented outreach, 92 percent of landowners along the project reach are willing partners in Japanese knotweed control, riparian enhancement and monitoring. 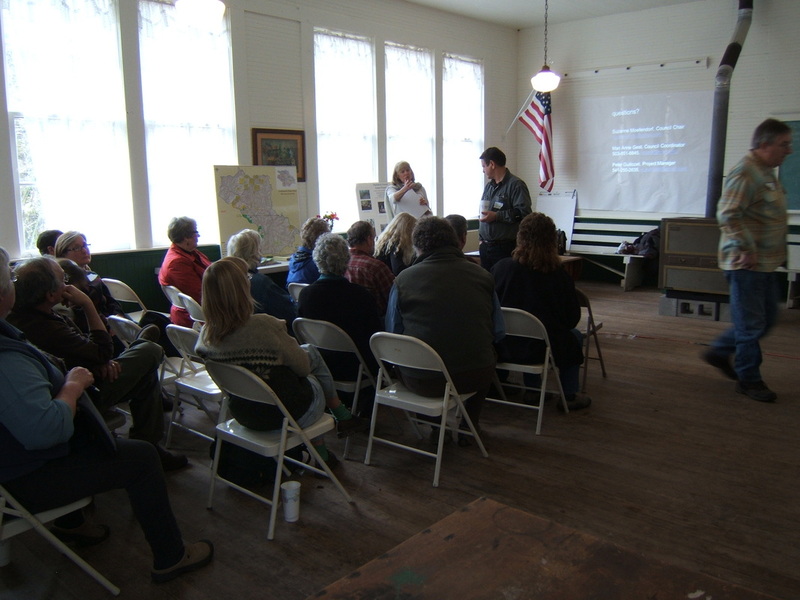 While a handful of landowners have yet to join the project, the Council continues to engage them in discussions about the value of this work to both landowners and the river. 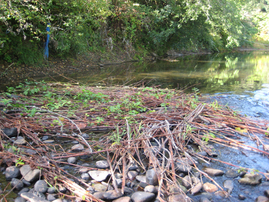 Since late 2010 the Council has treated knotweed along 19.7 miles of river bank, has planted and maintained 7 acres of riparian forest and prepared an additional 9.3 acres for planting in February 2012.